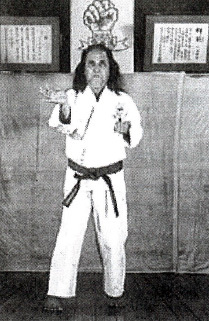 Editor's note: This article is the second in a three part series excerpted from Yamaguschi's classic karate text, "Goju Ryu Karate Do Kyohan: The History and Fundamentals of Goju-Ryu Karate," now in reprint. The first article was "The History and Fundamentals of Goju-Ryu Karate," and the third article is "Practice Fighting. " I'm arranging on likely jogging tonight with DH nevertheless due to the fact SIL is coming above to see the girls for the little bit. I can not wait around right until I am able to utilize the jogging stroller and go previously from the working day. It can help me try to eat a lot greater.. With weight instruction and resistance instruction, calorie burning will carry on for 2 to three hrs right after the routine ended. Right before beginning a weigh instruction routine, it really is vital to chinese bee pollen examine together with your medical doctor as well as a health expert to ensure that you simply perform the proper resistance exercise routines that won't result in personal injury to you. Right sort is crucial..
Kata is the attitude of self-defense that you perform with a presumed attack in mind as well as your defense on a fixed embu-line (the line of movement of the kata), to protect yourself from a hypothetical enemy with your body that is trained well by strict practice. This means you structure the attack from the hypothetical enemy with a meaningful and effective counterattack systematically. You perform individually with the interpretation based defense and on that theory. Moreover, the purpose of Goju-ryu kata is not only the practice of techniques but also the training of the body (or gathering your internal thoughts), as a result, you can say that kata is the "expression of yourself when you learn karate-do." 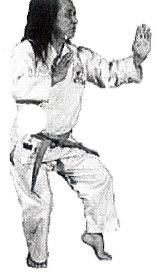 “there is no end to the practice of kata"
An embu-line is the fixed direction and angles of the body when you perform kata or when you attack, defend, and turn the body. There are eight basic directions: front and back, left and right, oblique of front, back, left, and right. For performing kata, embu-line has to be structured in these eight directions in a fixed order and you have to perform the prescribed technique from a prescribed standing position on this line. Each kata has a different embu­line. “It is not the number of kata you know, but the substance of the kata you have acquired"
When the leader calls "yoi," (prepare) you have to cross both hands in front of your body while you breathe in; and then, while you are breathing out, bring both fists to your sides as if you are tightening your belt, then tighten both armpits like you are pushing at the floor with your fists and put power in your whole body. You open both heels to the outside and when you breathe out; bring them to heiko-dachi (parallel stance). This posture has another name, jinno­ dachi. It is the posture before you get in ready posture (kamae). All the muscles of your body have to be tensed. The placement of your eyes is a little bit higher than the height of the eyes. Pull in your chin and put power in the abdominal l muscles; however, do not be stooped. Ann Phillips liked this on Facebook.